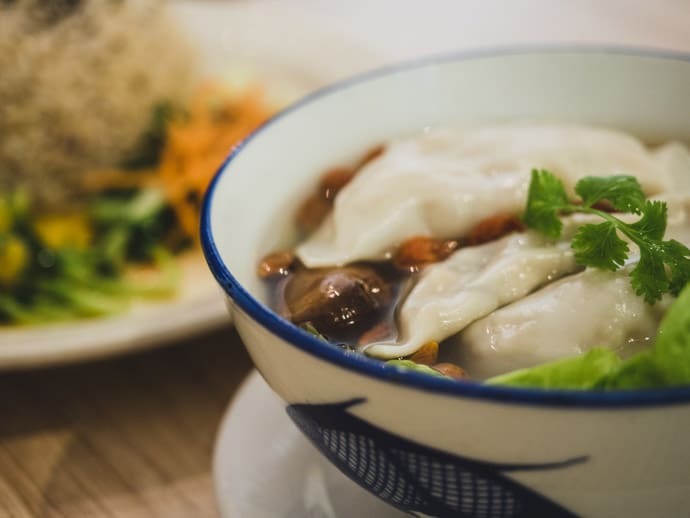 If you’re in Penang for a short trip, you will undoubtedly be wanting to try all the delicious local dishes. 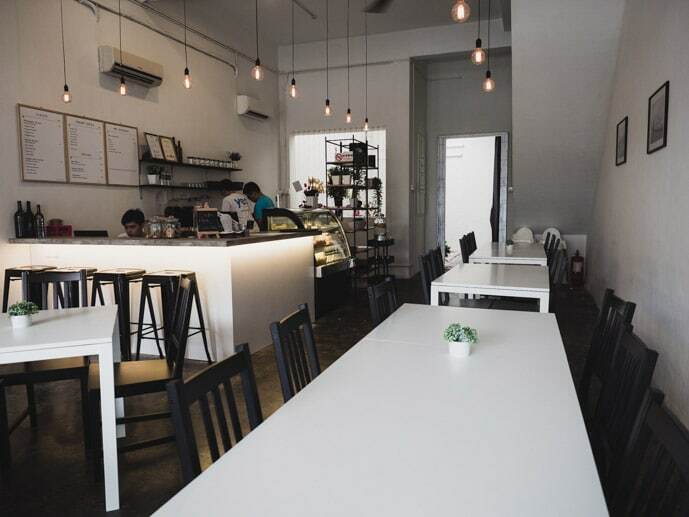 But if you have a slightly longer trip to Penang, you will probably want some healthy places to eat in Penang. After spending 5 weeks in Penang on our second trip, I was definitely seeking some healthy food restaurants in Penang. Actually, some of these still have some delicious local dishes too. 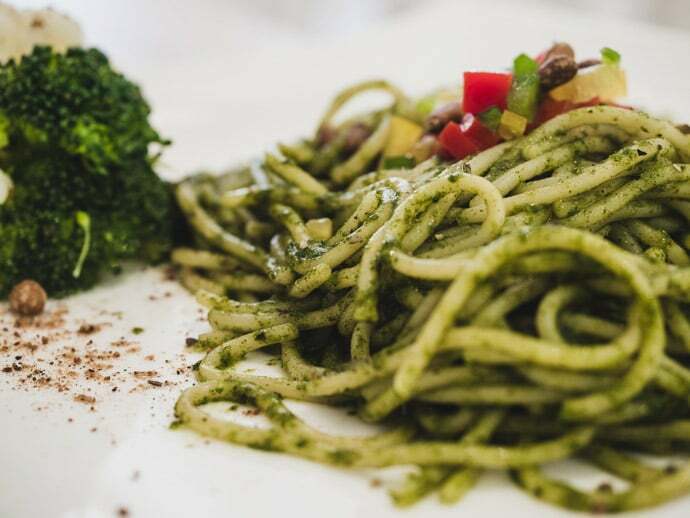 So here are our favourite picks for healthy food in Penang Malaysia. 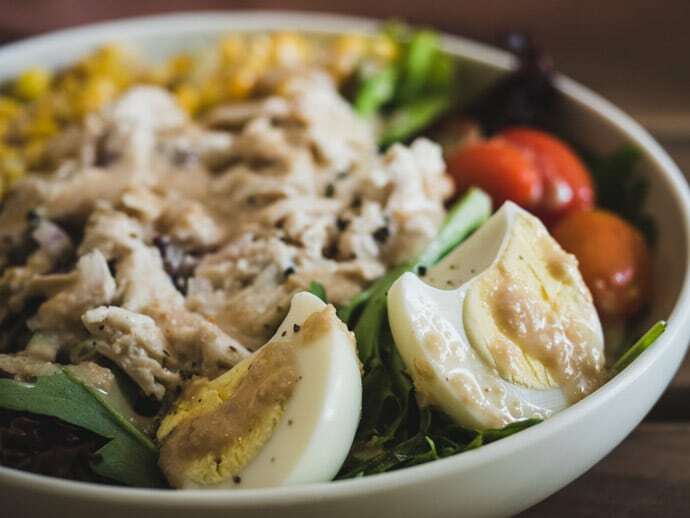 Here is our healthy food in Penang map pinpointing all of the best healthy places to eat in Penang. 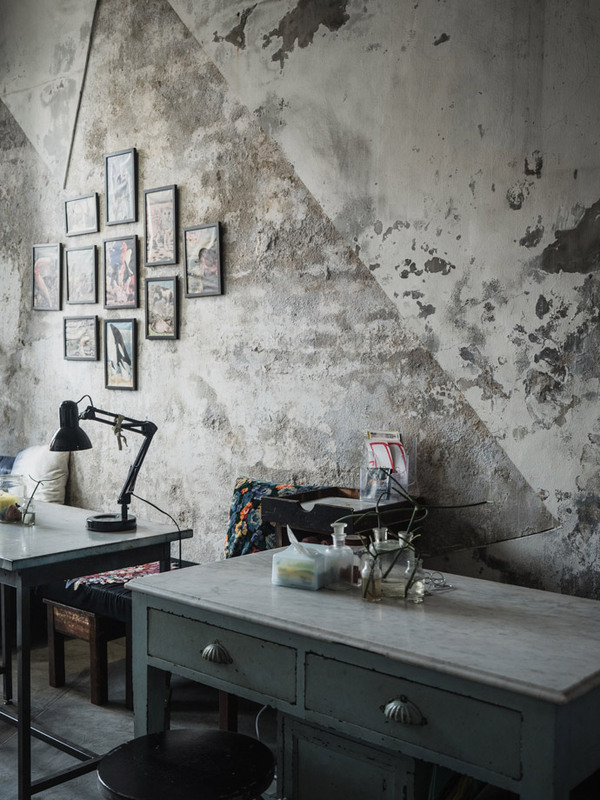 This map is of George Town Penang, as this is where most of our favourite picks were found. 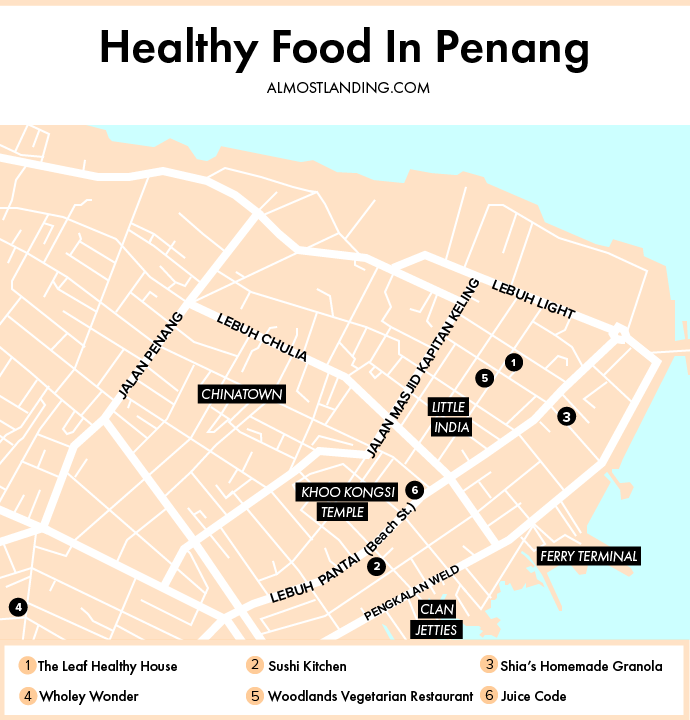 At the end of the post, you can download a printable healthy food in Penang map to save to your phone or print out and take with you for your trip to Penang. A nice little vegetarian restaurant near Little India. 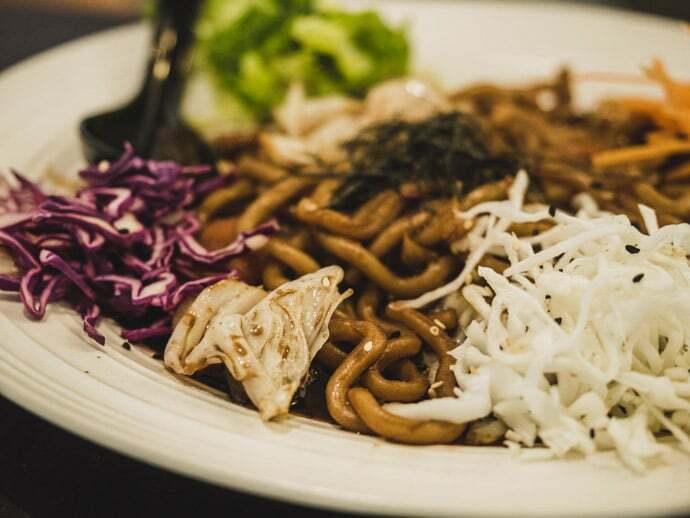 It has fresh and tasty food, perfect for a lighter lunch or dinner. We loved the pesto pasta and dumpling soup. Here they don’t use MSG, preservatives or artificial colouring. 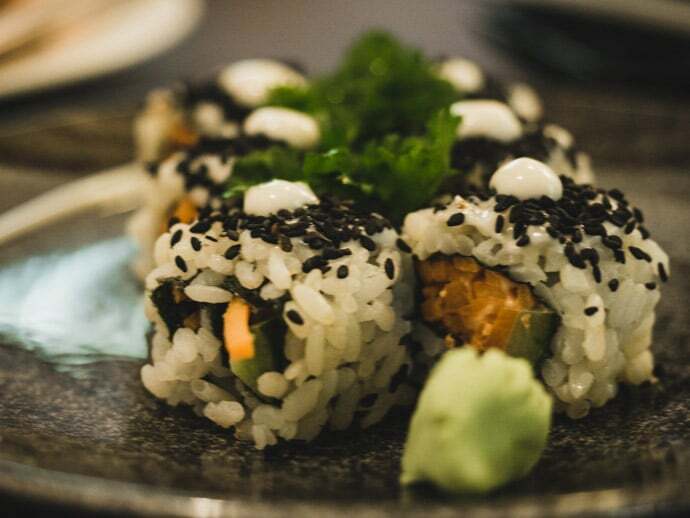 One of the best restaurants in Penang, Sushi Kitchen serves delicious vegetarian Japanese food. You definitely don’t miss the meat, the flavours are delicious. We loved the sushi and noodle dishes, and the service was so friendly. This is my favourite pick for healthy food in Penang. 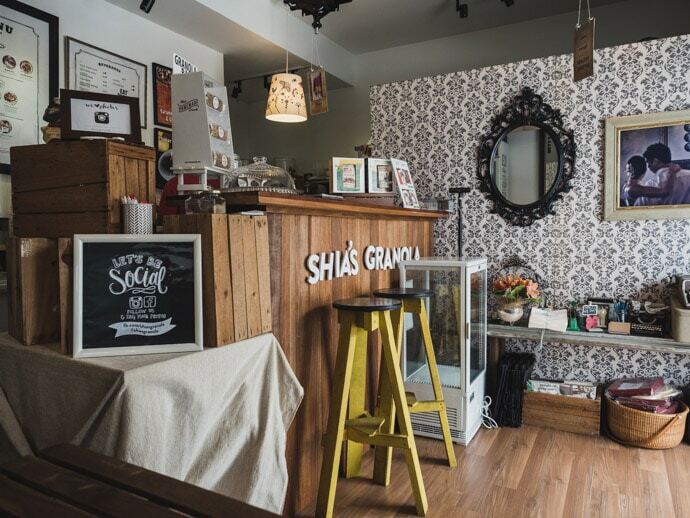 Shia’s Homemade Granola is a tiny store with only a few seats and tables. Here you can come in and pick up Granola and other items to take home or sit down and have a healthy meal. The smoothie bowl was a little lacking but also probably the only place you will find something like this in Penang. But I love their create your own salad bowls to get your hit of fresh veggies. 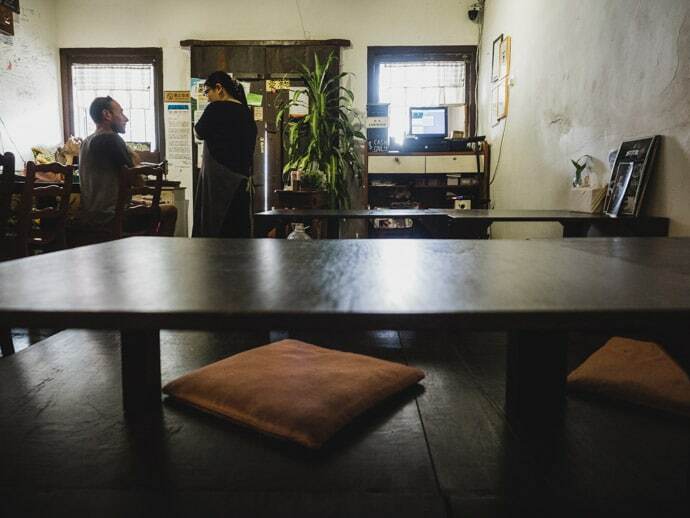 Wholy Wonder is a cute little vegan cafe and yoga studio near the Hin Bus Depot. We had the pizza and it was tasty. Although unless you are staying in this area it’s a little less central. 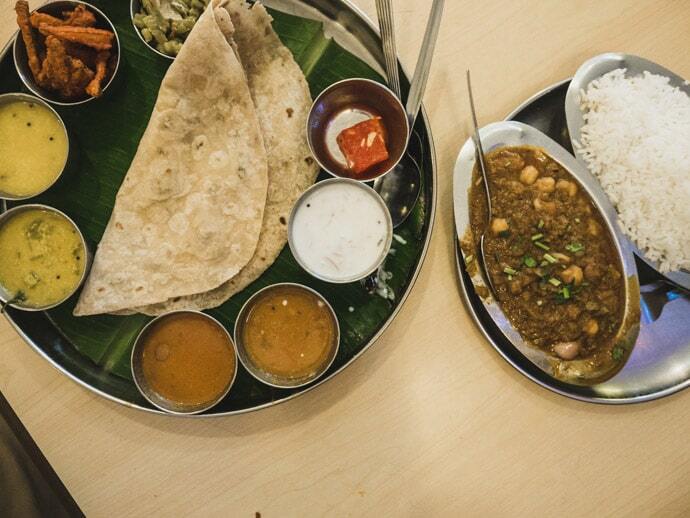 There are a few Indian restaurants we loved in Penang, but Woodlands, in particular, is a great option for vegetarians. Super tasty and one we kept going back to. 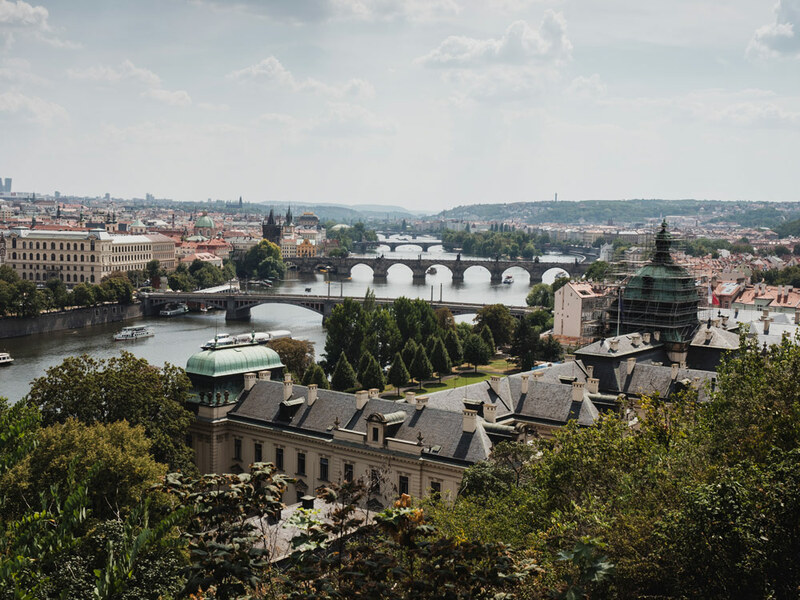 There are different menu options available for breakfast, lunch and dinner, so depending on what you want, you might find yourself visiting at a few different times. 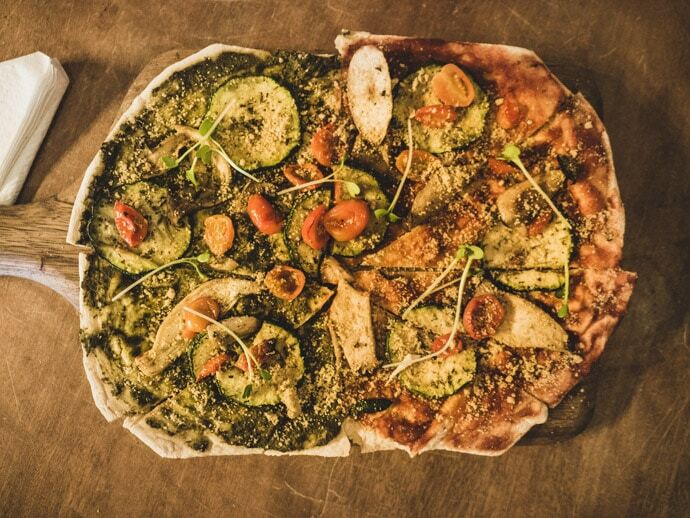 All dishes are not necessarily super healthy, but all are delicious and vegetarian. Come here to get your fresh juice kick. 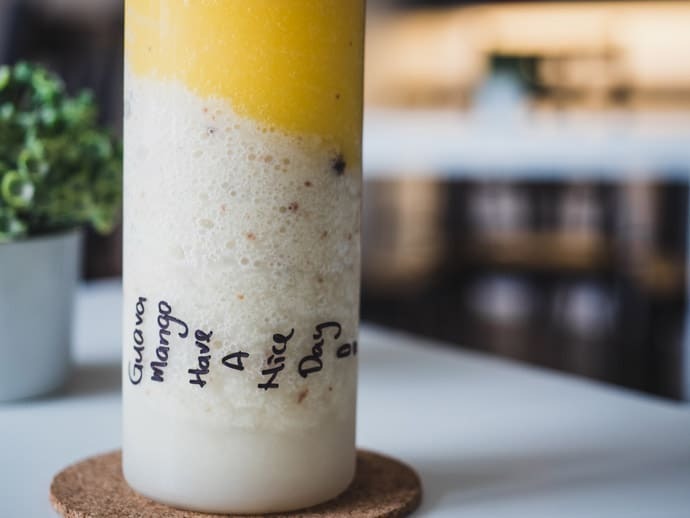 Juice code is a smoothie and juice bar that also has a breakfast menu (although it’s the drinks that are the healthy option here). 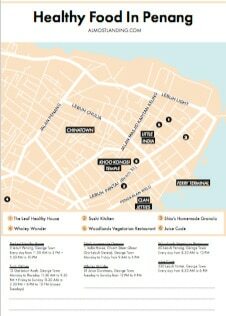 Get your free printable Healthy Food In Penang Map (PDF) to take with you. 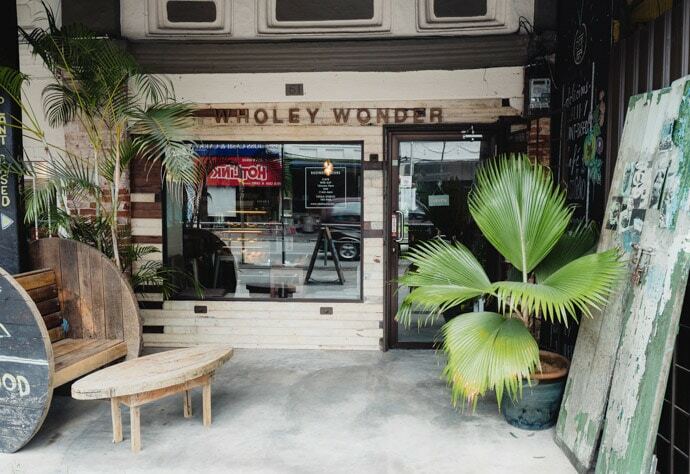 So that’s our favourite picks for healthy food in Penang… what’s your favourite?